Boost your traffic by linking to laurelhighlands.org! Include a hyperlink to laurelhighlands.org to increase not only our web traffic but your traffic as well! This allows search engines that these websites contain relevant information. Below is an overview of the available logos and their approved usages. 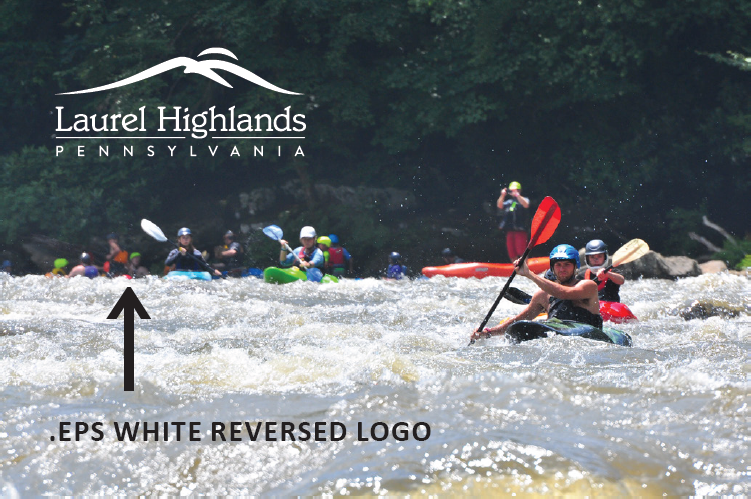 All logos are available to download below, with the exception of the .EPS formats, which can be obtained by contacting Kristin Ecker at kecker@laurelhighlands.org. 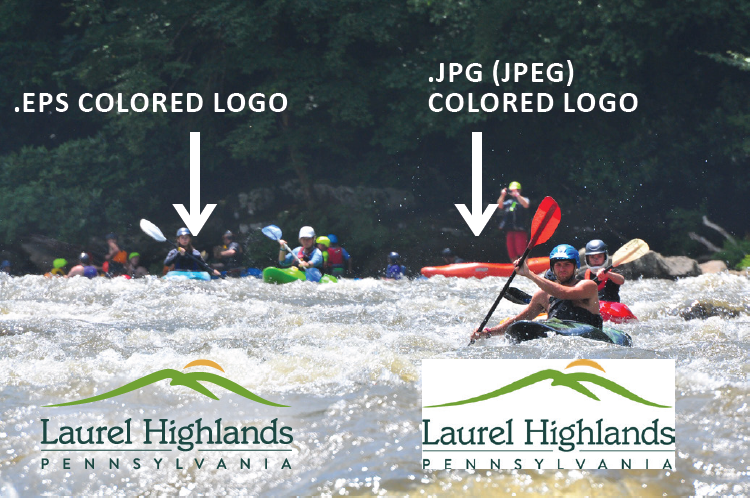 Download a pdf of the Laurel Highlands Visitors Bureau Approved Logo Usage Guidelines. To save the below files, right click the link and select "save image as." .jpg (JPEG) file extensions are a very commonly used file format for printed pieces. If you are looking to print the LHVB logo on a solid white background, then a JPEG logo is the file for you. However, JPEG file types do not support transparency, which means that the logo will always maintain a white boxed background (also the white reverse logo cannot be used as a JPEG because it would appear as one large white box). If you are looking to place either the colored or white logo directly onto a photo or colored background, that would require usage of the .eps version of the logo. This file type is not available for download on our website, but you can email Kristin for this file. PNG files are suggested for online usage, but a JPEG file can be used for online purposes also. Below are examples of how to choose your logo usage accordingly. Either logo in a .PNG format will produce the same results as the .EPS when used for online purposes. 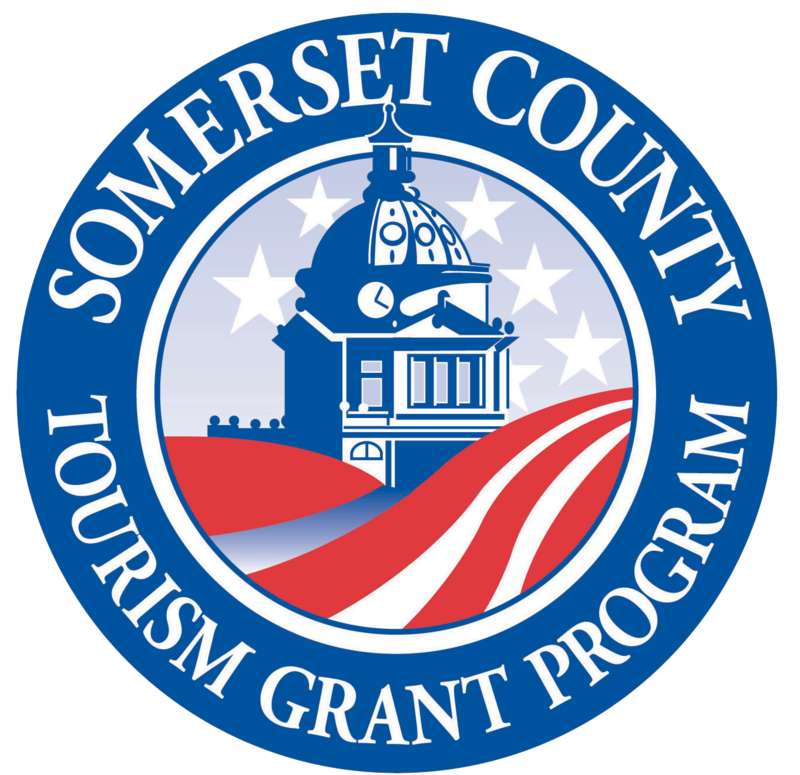 For Somerset County tourism grant recipients only: The required Somerset County tourism grant program logo is available for download here. JPEG (.jpg) is the only format available. Right click the link to save the logo to your computer. 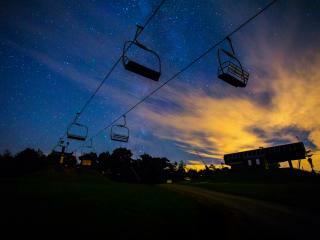 Please feel free to contact Kristin Ecker at (724) 238-5661 x104 or kecker@laurelhighlands.org with any additional questions regarding logo usage.